A collector on the field takes notes. He mainly notes the exact place where he founds a plant. That’s what is called the “field list” (for example you can see here the Heinz Swoboda’s field list). The field number is made of letters and numbers. 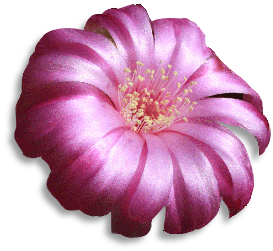 - The number is the number of the plant in the list of plants collected by the collector. Thanks to Willi Gertel’s Kompendium you can find out what is the specie of your Sulcorebutia but also you get some geographical data (site). For example, you will be able to know that S. augustinii VZ 145 has been collected by Johan de Vries between Totora and Omereque, Km 30, at Rancho Pampa Grande, at the altitude of 2470 m.
These days, thanks to GPS, the geographical data are much more precise. Sometimes the field number is followed by another number : HJ 807/12. This plant is S. dorana HJ 807 clone 12 (by the way this also means that there’s at least 12 different clones of HJ 807). Those different clones will slightly vary by morphological details : spination, color of the stem, or color of the flower. The clone number avoids duplicates in your collection. Normaly, the collection number should guarantee that the plant looks like the one that has been collected on the field (if vegetative propagation has been used : grafting or cutting). I said normaly because you always depend upon the seller’s knowledge or even upon his sincerity. Seeds can give, in turn, different clones. You might find, for example, S. Dorana HJ 807 (F1): this means that this plant was obtained by sowing the seeds that have been obtained by pollination of two pure HJ 807. In case of seedlings you should never get any clone number. If you dream of a collection of fully documented plants, the sulco collection is for you ! The genus Sulcorebutia is probably one of the best documented genus. The credit goes largely to Willi Gertel who compiled the "field lists" of about fifty collectors in his book "Kompendium der Gattung der Feldnummern Sulcorebutia." You will find about 4,500 field numbers with geographic data. What is the value of those field numbers ?